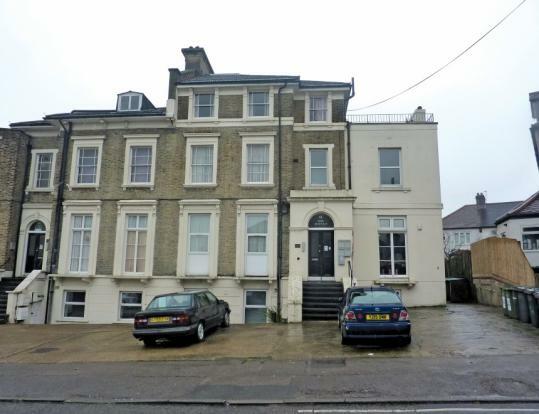 At first glance, this top floor one bedroom leasehold flat in Catford, London with a guide price of just £65k looks a steal. Comparable properties in the area are on the market in the region of £125k and the rental is around £750 pcm – which, if bought anywhere close to the guide price, could produce a whopping rental yield – plus the chance of some decent capital return. However, this is an auction leasehold purchase. And that means you need to do your homework very carefully. So I had circled this flat as a “go-and-see” once I had checked the legals. I know on Homes Under the Hammer you see an incredible array of people buying properties at auction without even seeing the property they’ve shelled out for, let alone taking the time to read the associated boring bits of legal paperwork which go with the property – but for me, it is the FIRST thing I do. Without the legal paperwork I have no interest in viewing a property. So the legals have been uploaded and they make for interesting reading – well, interesting in so far as, I am pleased I didn’t spend any time in going and viewing this property. Actually refers to the leasehold of the entire building and NOT the lease for the actual flat which is being sold. As a matter of fact, the flat which is being sold, has a very short lease – just 58 years remaining. Which, if you’re thinking to raise finance on this property, will be an issue with many lenders. Fortunately, it would appear the vendors have managed to obtain a voluntary agreement for the lease extension costs – which is a premium of £15k and a ground rent of £200 per annum (doubling every 20 years). Although, you still need to add all the other associated costs of this lease extension to that premium – which will include paying for the vendor’s legal fees (pre-agreed at £995), and of course, paying for your own. If you disagree with the premium proposed and would prefer to go down the statutory procedure route and serve Notice then you may as well stick your finger in the air for how high the fees could escalate – for by the time you add in valuers fees, LVT costs and additional solicitors fees – for both the landlord and you, I am unsure if it is even worth arguing the toss about. And the fact is – the flat only has 58 years left – and the shorter the lease gets, the more it’s going to cost you anyway. And the statutory procedure for serving Notice is not a quick route – especially when you take into account that you will have to own the flat for 2 years before you can apply anyway. So I was pretty taken aback by the short lease situation – because one of my reasons for selecting the flat had been the long leasehold details as mentioned in the catalogue. However, with any auction purchase it is down to the buyer to do their own due diligence beforehand. The auctioneer cannot be held responsible for any inaccurate particulars when a prudent buyer is expected to read the paperwork to a property. And in all honesty, I feel that’s the least a prudent buyer should do before they part with several thousands of pounds. Anyway, I pondered that maybe the flat was still worth a punt and so I calculated the additional £15k for the premium and allowed another £3k for solicitors. And then I got to the service charge information sheet. Well, that was a shocker. The estimated service charge this year is £6159. This one bed flat is getting mighty pricey when you check the associated bits of paper. So I looked into why the service charge was so high and I discovered the roof is about to be replaced and thus a major chunk of the service charge cost is to be held in the “reserve fund” to pay for these costs. And then I pondered on the whole issue of “reserve funds” when it comes to service charges – I realised that with a period building of this size and nature the “reserve fund” contribution could easily end up being a recurring annual event. And I decided that unlike Christmas and Birthdays I didn’t fancy an annual celebration of owning this flat – it could end up costing far more than both my Christmases and Birthdays combined! Thanks for your comments Debra and pleased the info proved useful. Sorry for my ignorance – what do you means by “reds”? Thanks, pleased you found it funny…don’t know about the commenting. Will check – although could be your browser – did you stroke it enough? which auction house was this. I would be interested to know what it went for. Personally, i would have viewed it to see if it could be turned into a 2 bed. Going by your comps of £125k and taking into consideration the £18k lease ext costs, internal refurb works and the major works bill of £6159 i would have paid up to £70k. The large works bill for the roof would be a one off. As with any leasehold flat there will at sometime be maintenance works. But if this is just for the roof then the large bill is a one off. Even with a reserve fund this flat is ideal to ‘tart and turn’. Taking into account your buying and selling costs gross profit would come out at £17k. Even if you dont sell, the yield on purchase costs would be 9%. £70k+£18k+£7(service charges)+£5k(internal refurb)=£100k. Not bad in this climate. Hi Tim, thanks for your comments. It was an ASR, sold for £87k. Yes, agreed £70k would be a good price for the flat – what do you think about the price paid at £87k?